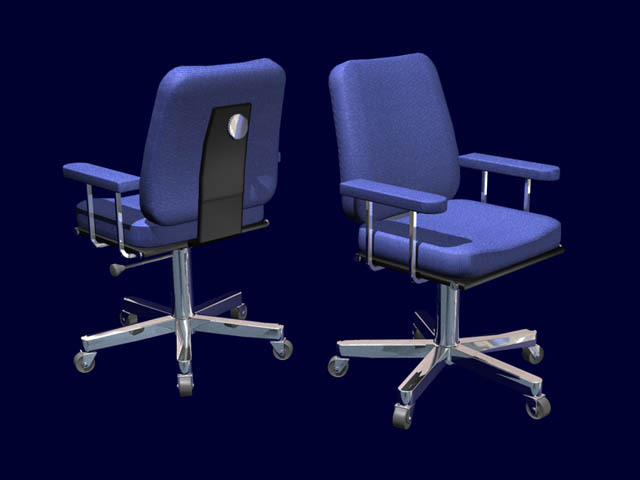 Professional quality 3D Models priced at about 50 cents each ! 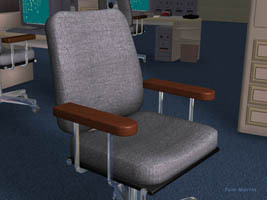 Have you ever spent hours searching the Web for just the right furniture model, then spent even more hours modeling it yourself? Now you can choose from a selection of 381 models for every room in a house, and office too! And we offer them to you in file formats that fit your 3D program. Models have been hand-crafted to show the highest levels of detail. Models are untextured , but colors, reflections and other material properties can be used to customize the furniture, as shown below. Also, the textures in Seamless Textures 9 - Fabulous Fabrics include plenty of fabrics and Seamless Textures 1 - General Purpose Surfaces contains plenty of wood textures. If you've ever been faced with creating an interior scene or design, you know the pains you must go through to obtain or create the furnishings. You can spend days or weeks modeling even the simplest chairs, tables, desks and even small accessories. 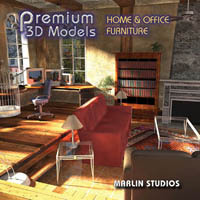 Now you can purchase these high-quality, low-cost models on one CD-Rom. The Home & Office model library provides 381 models that can be used in every room in a typical home - everything from a full-featured entertainment center to the kitchen sink. 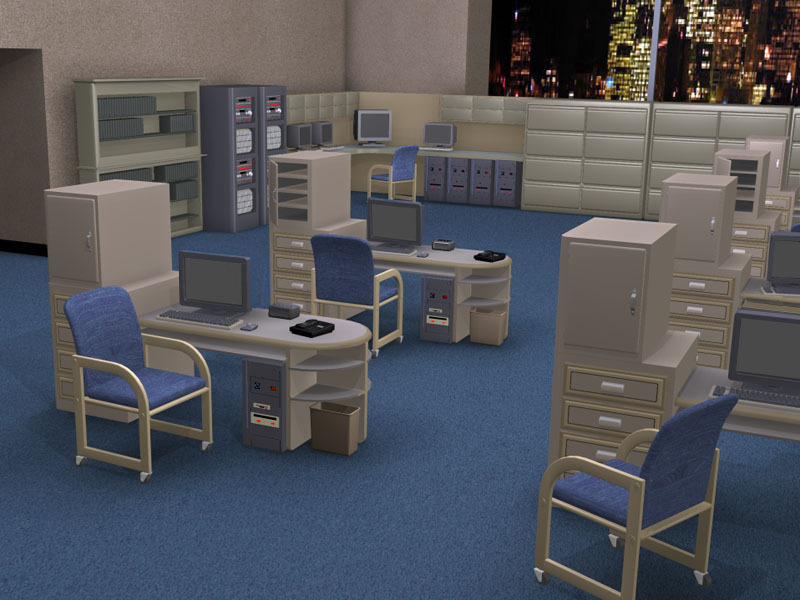 And there are plenty of office models to create an office environment. 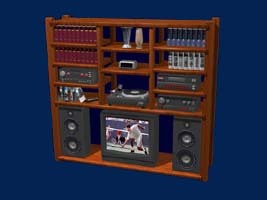 The library is highly usable, because of the variety of models included. 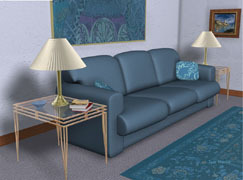 Marlin Studios also offers three companion texture libraries that can add to your interior work. The first is Seamless Textures 1 - General Purpose Surfaces for wood textures, Seamless Textures 3 - Ultimate Interiors and Seamless Textures 9 - Fabulous Fabrics. These libraries are full of textures that give you much more flexibility in building interior environments. 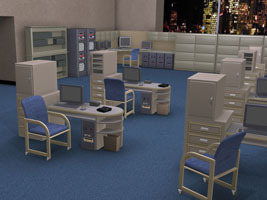 The City Building models are presented in multiple file formats: 3DS, LWO6, and OBJ formats. The models are priced so everyone can afford them, and are fully licensable and royalty free.